Make a one-inch center part at top of head. Cut hair to short, straight bangs in front, about four inches from beginning of center part. Hair over ears should be only two inches long, shaping to four inches in back. Do not curl. Comb bangs straight down, merging into hair at both sides of the head. Comb back hair to a full V at base of the skull. For sleek effect, trim any straight hairs. Brush hair around ears up and forward, keeping it to cap-like contour. Set hair on top of head in a loose, deep finger-wave. 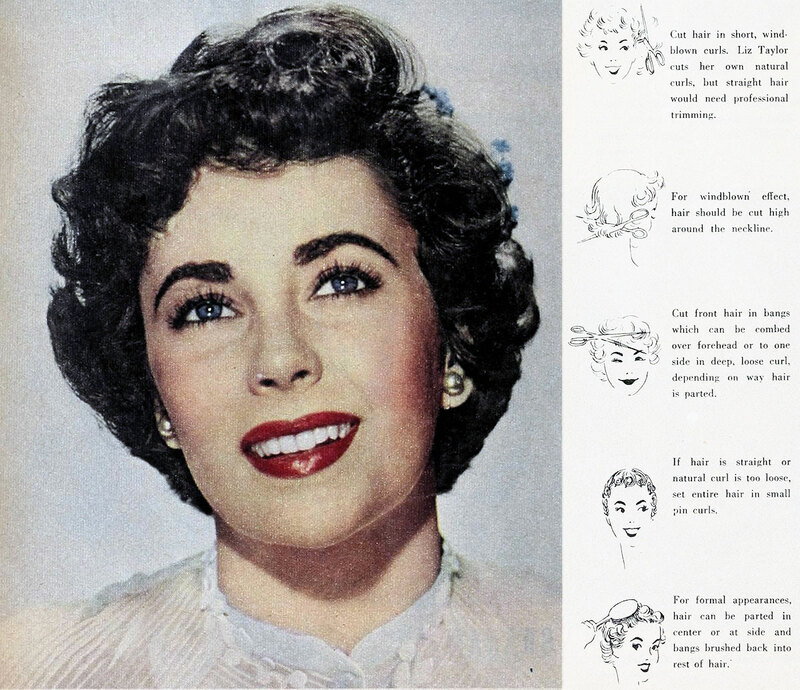 The secret of all wonderful hairstyles lies in the original pin curls you set. 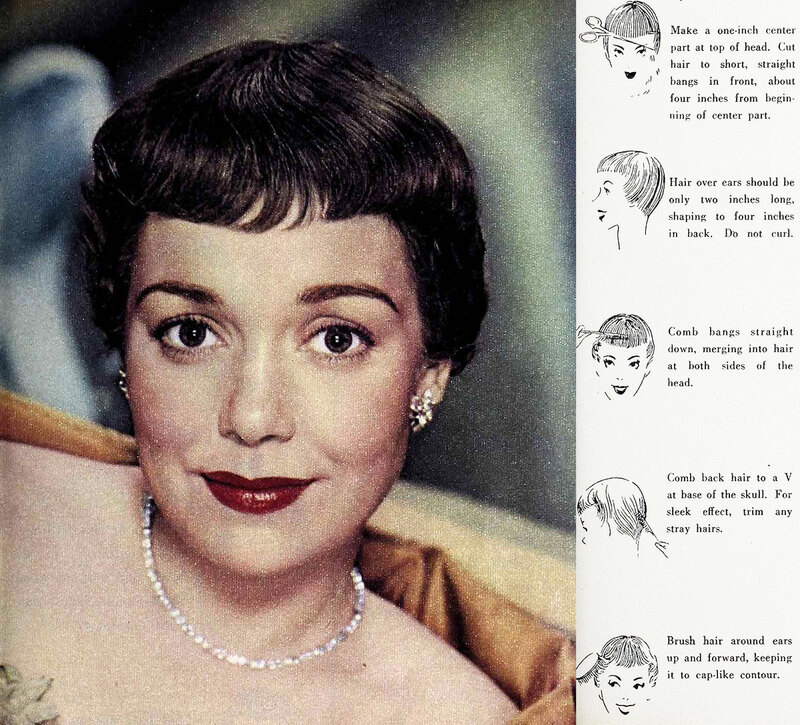 But do you know how to set standing pin curls to glorify your brow, flat pin curls to make the sides prettiest and those perky pin curls that are so cute at the back of the neck? Well, Vicky Riley will show you just how to put up these pin curls in October !